The January of 2015 has been the most testing come what may, we have witnessed the volatility in this month with some corrections but all in all a month with a very positive sentiments showing the true spectrum of the Indian colors flying from the dalal street. It was the 8 consecutive working sessions in which the sensex steered almost 2,224 points and so also Nifty catapulted to 633 points. All this because of the some important deals like agreements between India and the US on civil nuclear deal and cooperation in the defence sector and clearing the path for some US companies so that they can setup their nuclear reactors here which triggered the excitement in the market. 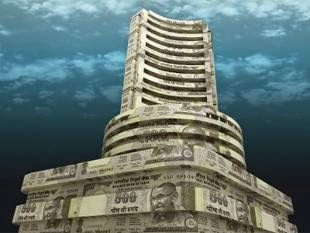 This Tuesday the markets ended on a positive note and both sensex and nifty recorded new highs sensex climbed 292 points (1%) to record 29,571 and nifty rose 75 points (0.85%) to score 8,910 at the end of the day. That is on the fifth day in succession the sensex and the nifty bettered their previous day’s levels every day. During the same time frame the bank nifty clocked 1,332 points. This pace was basically due to the visit of the president of US Mr. Barak Obama to India and the progress on a wide range of issues will definitely cement the investors’ confidence in India and accelerate the investment cycle in India. The sustained overseas FIIs inflows investments of late in anticipation of good returns maintained the momentum in the Indian markets despite mixed trends elsewhere globally, moreover the encouragements from the ECBS and last but not the least the rating agency Moody have mentioned that India is immune to any global foreign effects as our fundamentals are a lot better as compared to its peers. The following sectors are going places like capital goods, auto, FMCG, Banking and real estate. Looking forward towards the budget for more of the structural and long term policy announcements setting the platform for the next couple of decades with a very optimistic outlook. Just like the year 2014 where the broader indices have done well with returns of well over 30% and mutual funds have been better than the broad indices, so same story is expected to not only be repeated but also bettered in 2015 too, and the International Monetary Fund has predicted that India will overtake China in 2016 in terms of GDP. Even the market regulator SEBI has taken steps to ease up the delisting norms has ignited the investment hopes like never before; even the listed subsidiaries of some of the multinational companies may consider going private going private might have triggered the valuations of several such companies to these phenomenal heights. The SEBI announced that such companies will be exempted from its earlier requirement of a minimum 25% public participation for a successful delisting if they can commit that all the share holders had been contacted which send the shares of the listed multinational companies like AstraZeneca Pharmaceuticals, P&G, GSK and Gillette India soaring close to 10% while also registering a growth in the traded volumes which has also taken their valuations anywhere from 50 to 200 times their earnings and as the valuations of lot of companies have shown a sharp rise will definitely reflect upon a delisting possibility also because of the stake hikes done by some of the MNCs. But some of the companies have put their delisting on hold because of the 25% public participation requirement will now definitely be encouraged to go ahead with the process. The latest development will obviously improve the success of the reverse-book building process and thus enhance the chances of successful delisting. However investments based on the fundamentals is a very safe modus operandi.